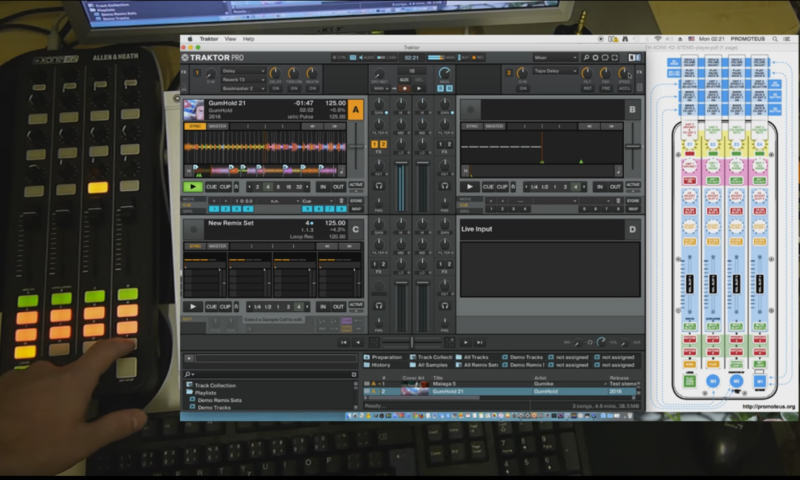 XONE K2 & TRAKTOR STEMS Deck mapping Setup plus complet controll for 1 & 2 FX Units, External Mix Decks Volume adjusting and FX sending 4 Decks. 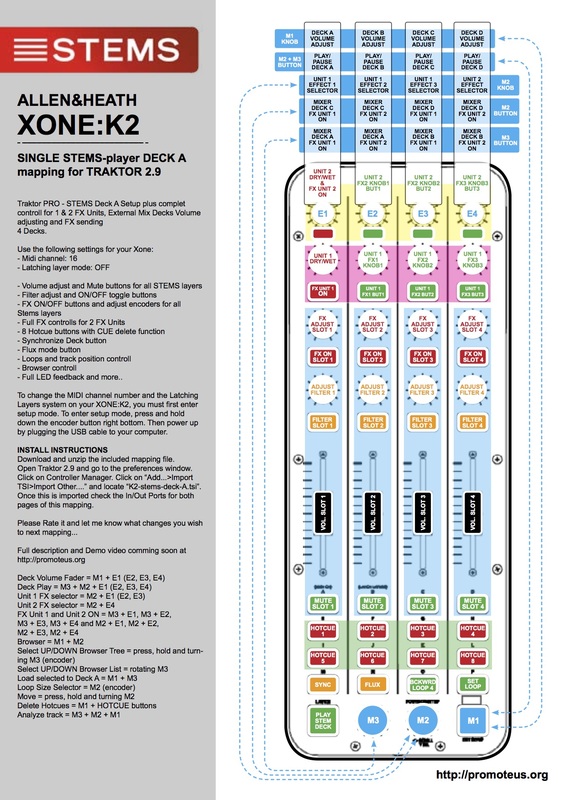 – Full LED feedback and more..
To change the MIDI channel number and the Latching Layers system on your XONE:K2, you must rst enter setup mode. To enter setup mode, press and hold down the encoder button right bottom. Then power up by plugging the USB cable to your computer. Download and unzip the included mapping le.